Last week we did the Brownlee set of 100s, inspired by Jonny Brownlee’s performance in Rotterdam. 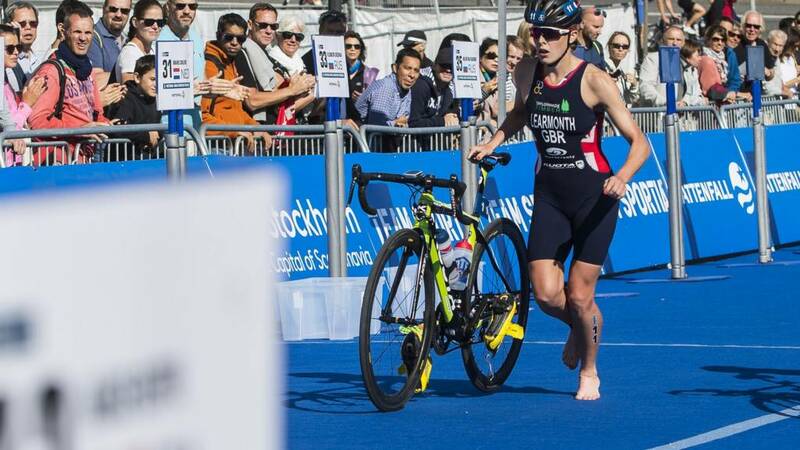 This week we are being inspired by Jess Learmonth who had a fantastic performance in the womens’ elite race. She’s one of the fastest swimmers on the ITU circuit today so this week our main set will be based on one of her favourites. The set consists of some good paced 100s and 50s with some steadier paced kick in between, both with and without a kick board. Kick is a great way to work on your core so I hope you enjoy trying out this new set. We are back to the usual swim times this week with the 8am session finishing at 9:15am. I hope you were all as impressed as I was by all the action in Rotterdam last week – from both the Elites, Age Groupers, Para and especially members of our club that raced and Don has recently written about. Inspired by their efforts I thought it was only fitting to do a set this week like the training they do themselves. So we will be doing the Brownlee main set of progressively-paced 100s that we have done before. This time, however, we will be making them 1-3 progressive, rather than 1-5 progressive as we usually do, to make it more of an action-packed set like the action we saw on from Rotterdam last week! In the technique subset we will be doing some head-up front crawl and straight-arm recovery front crawl to help you focus on getting your stroke high for the main set. Really think about a getting a quick catch when doing this – keeping it short and fast at the front of the stroke. Then keep this going with a nice quick catch when you get into the full stroke swimming. Well done doing the fast 200s we did last week. I saw a lot of effort put into them and hopefully it was a good chance to learn a bit about what a fast pace feels like and what is sustainable, even with a 4 min rest. This week is a much steadier session and a chance to think about high-elbow catch as well as some aerobic swims. It will also be a 1 hour session again for the 8am session to give the Juniors time for the final set of time trials this year. With the club Aquathlon for many of you on Sunday the gentler-paced swimming this will be a good chance to slow things down a bit and lock in a bit better technique ahead of Sunday. We will be doing some of the Chloe Sutton drills with counting 1-2-3 to really give yourselves time to think about the high-elbow catch position. Look at the two drills starting at 6 minutes into the Chloe Sutton video if you want a reminder!